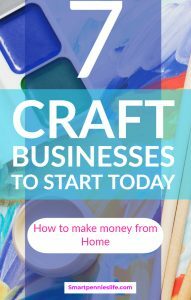 Are you needing the inspiration to decide what sort of craft business you should set up? 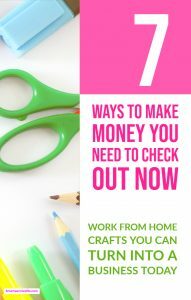 If you are how about this post on 7 craft business ideas to make money today. Are you skilled at a few different crafts? 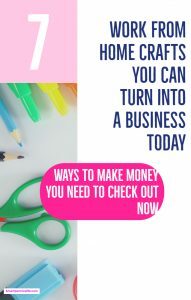 How about trying one of the ideas below to make money if you are wanting to start a craft Business. 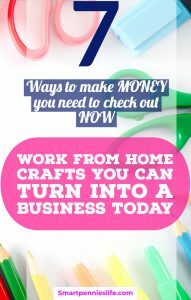 So which Crafts should you choose to make a successful business? These crafts can be made at a low cost per item and sold for a profit. 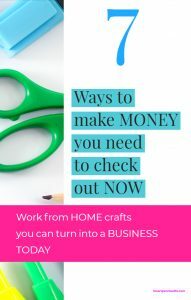 Remember that great craft business solves a problem for the customer just like this blog post helping you figure out which type of craft business can make money. Make sure that the product you create is unique but also is something people actually want to buy. Even if it’s a once off doesn’t necessarily mean that it will sell. For a lot of these Businesses, you will need a top-notch DSLR camera and LENS and once you have your set up organized you can certainly manage to recoup your expenses if done right. Most of these businesses can be STACKABLE what do I mean? 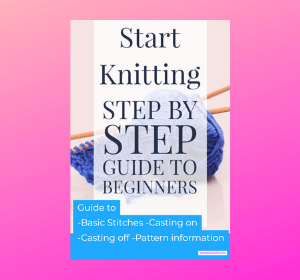 If you are interested in starting your OWN CRAFT blog then have a look at this FREE resource. An acquaintance is now opening up her own studio in the next street and coming into to my mother asking about studio setup etc. My mother being the generous soul she is was telling her all about her cupboards for storage and how to display her art. This lady says to my mother that she only paints abstract art ( my mother has a few of these but they are not what you would call best sellers ). People want Scottish Art with a nautical theme this is what has sold well for my mother notwithstanding her talents. Make sure you continue talking to your customers. Finding out what they want more off and keep doing that. Your products must also be top quality no one wants to buy something for a high price to find it falls apart as soon as they get it home. People are looking for quality and Value. 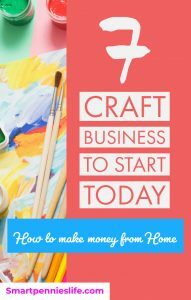 Ok, let’s get into the nitty gritty of each of the options and explain why they are good choices for you to start a craft business with. Following on from my mother’s experience Painting or drawing can be as expensive as you make it. If you haven’t got lots of money you can still invest in paper and paints and utensils like brushes but maybe not the high-end ones. The great thing about Art is once you have created your masterpiece you can repurpose it and sell it again and again. Repurposing your art can be relatively low cost but you can sell it for a high cost per item, therefore, increasing your profit. Make prints- you can have a limited print run of one of your most popular paintings, prints also make it easier to ship as well as you aren’t having to take into account frames if the painting is already framed. This is a great thing to do I have an old friend who sells her own Jewelry from home all over the world and USA. 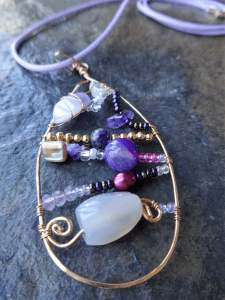 The great thing about Jewelry is you can create individual pieces at relatively low cost and if you keep them simple it can be a quick low-cost product to produce. 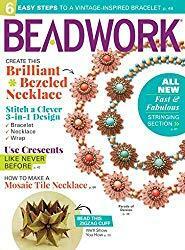 The simplest and easiest Jewelry to get started with is beaded Jewelry. 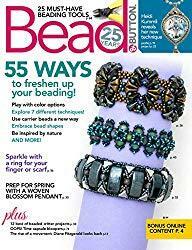 You don’t need hugely specialist skills and if you are good a picking up crafts then beaded Jewelry can get you started. 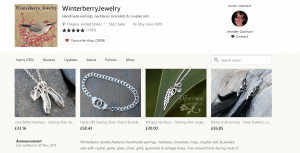 One thing about Jewelry is that it is quite a saturated market so if you plan on selling on the likes of Etsy make sure your product line is unique in some way. Not unique that people don’t want to buy it but unique in that it’s different to everything on the market but still desirable. Test your designs at local craft fairs and get feedback from customers this is a great litmus test to see if you will make money going forward. I have lots of books on Jewelry making especially wire wrapped Jewelry I really enjoyed that process here is one of my creations. Here are two of my most favorite books on the making your own Jewelry at home. I really like these as they go in-depth on each different type of Jewelry making so you have an understanding of each. If you can follow a recipe you can make soap! You can buy ingredients relatively low cost and I might add in a hardware shop or online through tonnes of places see my list of resources at the end. 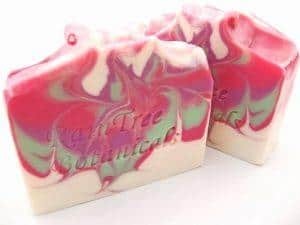 You can buy low cost and make lots of soap to sell for a pretty decent price here are a few of my favorite examples on Etsy. If you want to try handmade soap then pick up a few bars before you starting making it. It’s so much nicer than shop bought! I find my skin is less dry and I know I am not using nasty chemicals on my skin. Especially Melt and pour soap as you don’t need to deal with Lye. This was one of the first things I dabbled in when I decided to start making my own soap at home. Once I felt confident making melt and pour soap I started looking into Cold process soap making apart from having to deal with Lye it’s really easy. It’s very much like Pharmacy in that you have to follow a recipe exactly using a specifically defined formula to make sure the oils and lye will chemically react to produce soap. Don’t worry though there are tonnes and I mean tonnes of recipes online for you to try. Once you feel confident about making soap using recipes online you can move onto making up your own recipes. Ok, one thing to note as I was going to start my own Soap business is that in the UK soap is classified as a cosmetic which means there are a lot of manufacturing process and regulations you need to follow if you are selling soap. In the USA ( please check individual States) its classed as a toiletry so the rules are very different and it’s so much easier to sell soap. 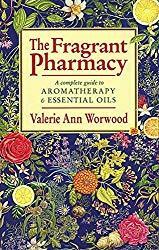 The BEST essential oil book that you can buy ANYWHERE is the Fragrant Pharmacy it is excellent for anything to do with Essential oils. It’s my number ONE recommendation when it comes to Essential oils and information. In the USA –Essential Depot for a great selection of supplies at great prices. Much like Soap making – Candle making requires no specialist equipment and again once you have perfected your recipe you can make it in bulk and sell each candle for a good healthy profit. To help you answer the question is a Candle making business profitable really depend on the price you can buy your candle supplies at. Because it is generally low cost especially if bought it bulk you can make money. 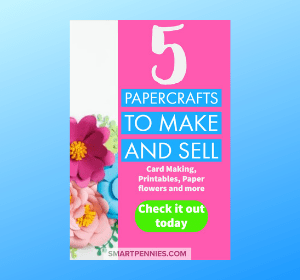 Online Printables are a great Idea to sell as a craft business. 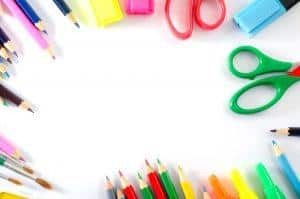 Your only requirements are a computer to design the printables which you can then sell again and again this is the best cost per item. A printer would help as well to print of your PDF to check how it would look for your customer. You only need to look at one of my favorite bloggers Sarah Titus to see what the potential is. 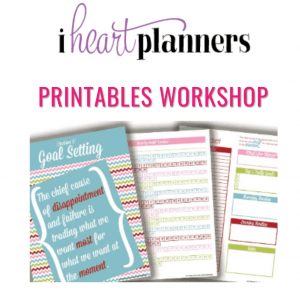 I developed my first printable after taking Laura Smiths How to create your first printables ( when you click this link you need to opt-in to her 100 emails list to get to the sales page ). This was a really easy course to follow showing you how to create printables in both Excel, Google Drive and if you’re up for it Adobe too. 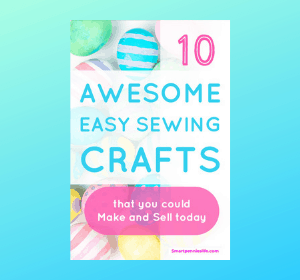 Sewing- materials can be kept low and you can make more than one item out of a roll as long as the process is simple and quick to make each item. If you want to start a food business how about making cupcakes! I would be heaven to have a CUPCAKE shop or how about an online cupcake shop with a difference? There are lots of people how would pay for recipes binders for Cupcakes and best of all you only need to photograph and write the instructions, again and again, a bit like selling printables. If you are wanting to photograph your creations you really will need a good DSLR CAMERA and LENS you can make your money back for this investment in no time if you set up properly. 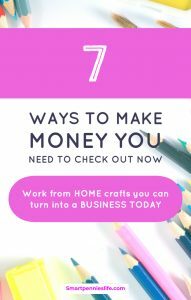 If you had a shop you could also sell what you make – two ways to make cash! I couldn’t think of anything better! 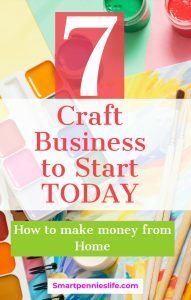 So that is a quick run through of 7 crafts business that will make you money. 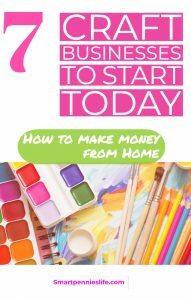 It will still require work and dedication to start your own business no matter what you decide to do. So make sure what you decide to start is something you love doing especially if you intend to replace your day job. You will need to push through the tough days as well as good days so if you aren’t sure it’s for you then look at something you would really enjoy. Don’t forget as well as making your selected crafts you will need to also get customers online and offline. As well as this you will have to deal with the day to day demands of running a business like taxes and invoicing. If you are considering have an online presence then your best bet to have full control is your own website. HOW TO START A CRAFT BLOG FREE via the opt-in above. Social media will help enormously for generating traffic to your own Website one of the best is Pinterest. Pinterest is what I use to send traffic to my own website so if you loved this post and want to share it then click on the share button or pin below. You will need to click on the Pinterest button directly below to see all the images of pins as this post will not allow pins images to show up for some reason. PrevWhere should you sell your Handmade Items : local or online?